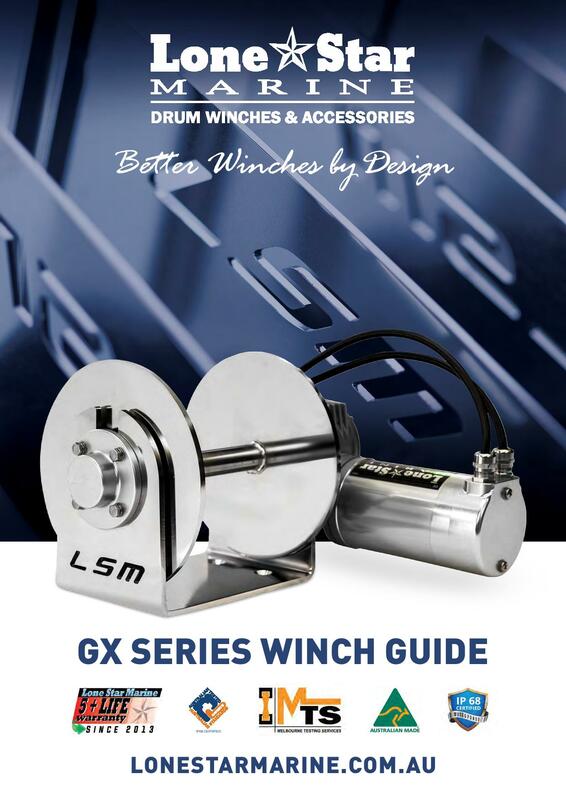 We thought we would share a few things with you regarding winch motors. In 2013 LSM released the Gen 3 series. 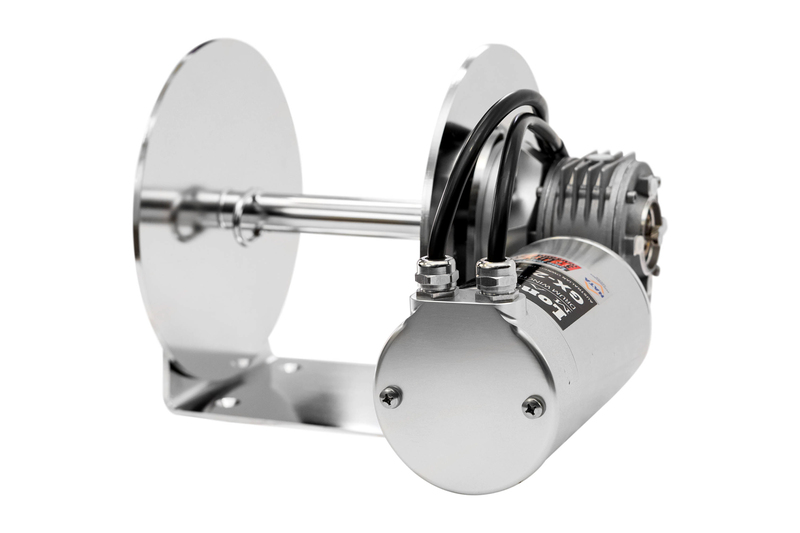 This series featured a SS clad motor, the first of its kind in the anchoring system world, among other great features they included an extended warranty and lifetime warranty against water ingress. Now Stainless Steel motors have been around in other applications for a very long time, namely food processing and similar environments requiring wash down. We would loved to have utilised some of these already existing items in our units, however motors in these applicaitons typically require a low RPM speed and were unsuitable for winching applications. So we made our own & they were a huge success. However our continuing development meant nothing was going to stay as it was for very long! After 2 1/2 years of faithful service the Gen3 was retired and the GX was born. The GX series was redesigned from the inside out delivering a much higher speed at stated wattage output and higher efficiency, this meant we could utilise higher ratio transmissions and deliver off the charts torque while still retaining a high drop speed and all the other desirable performance characteristics you could want in an anchoring system. These units are an absolute home run and we honestly do not believe they can be improved upon for efficiency, speed, or torque. Along with new internal development the GX series features a new exterior, stainless steel was swapped for AU machined and anodised T6 6160 aluminium. We have built many benefits into these drives, the exterior saves a noticeable amount of weight (which was great considering the armatures and magnets in the GX motors are much larger & heavier than the Gen 3), they disburse heat quickly (which was never an issue with Gen 3 motors anyway due to the fact we had retained an aluminium brush housing), and the finish actually holds up better than the SS counterparts around the fittings. We were also able to utilise more fine machining around the cap & base, so cable glands are not held on through the surface with a nut but rather threaded into the cap itself, and the o ring systems are a much neater and more consistent fit. GX series units do not require perfect refitting by the installer and in short there was no mucking around with threading cables into the cap. 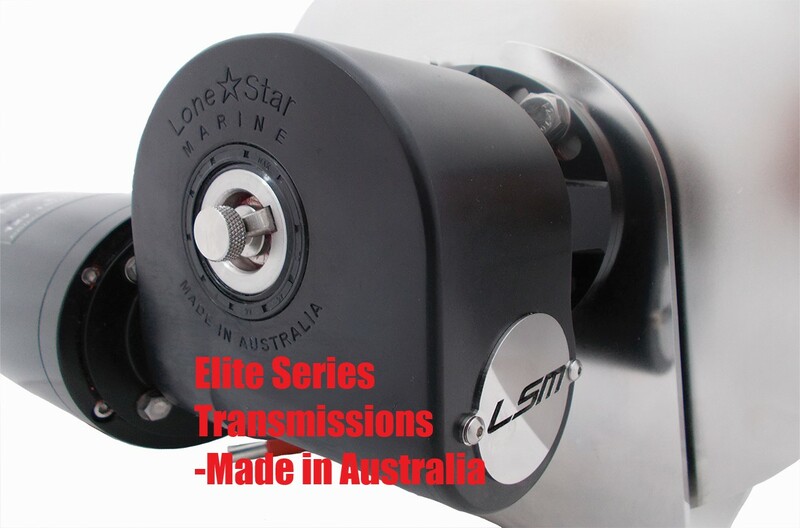 It also meant were were able to manufacture parts for our motors in Australia and still retail at a reasonable cost while achieving IP68 (totally waterproof) certification. So, whats all this about? 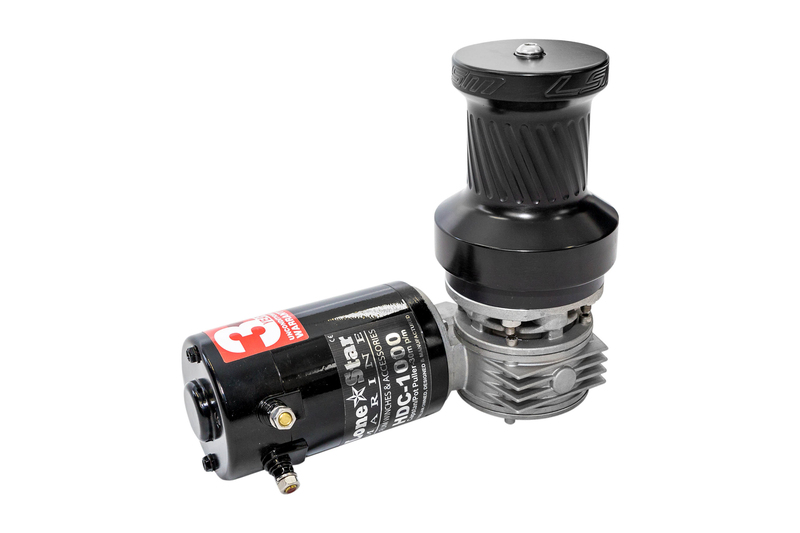 Well inside every PMDC winch motor (not our our Elite Brushless range) there are 4 major parts required for operation, and all contain mild steel or carbon. Again, PMDC winch motors cannot function without these parts, and it is in the design and materials used for these parts that make an average motor or an excellent motor. 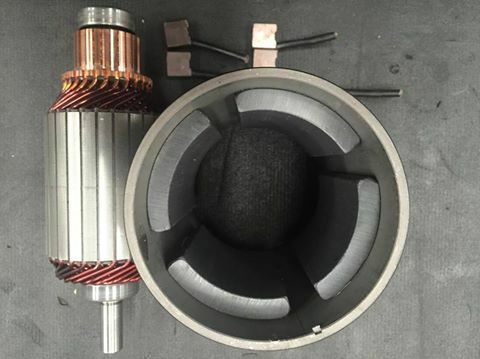 Stator Housings, Ferrite Magnets, Armature Laminations, and Carbon Brushes. If someone is trying to sell you a product based off a ‘full stainless steel motor’ tag line, ask the question. If it’s full stainless steel, what makes the motor go?